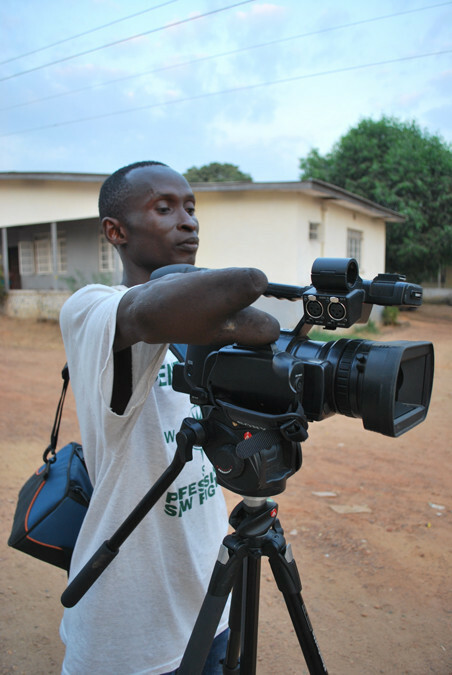 When the Ebola outbreak struck two years ago, it was difficult for journalists to get stories from hard-hit areas. But Hazel Healy was in contact with trained citizen reporters on the ground during the Ebola crisis and its aftermath. This is their story. 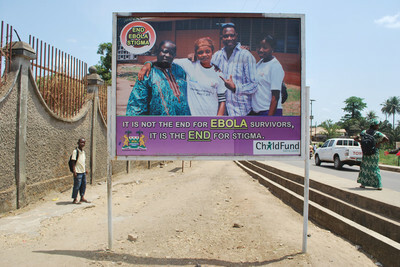 Two years ago, Ebola hit Sierra Leone, only to be pushed from our news by countless other crises. How are the affected communities faring now? By the time the first case was confirmed on May 24, 2014, it was already too late. This brutal, highly infectious virus had spiralled out of control. 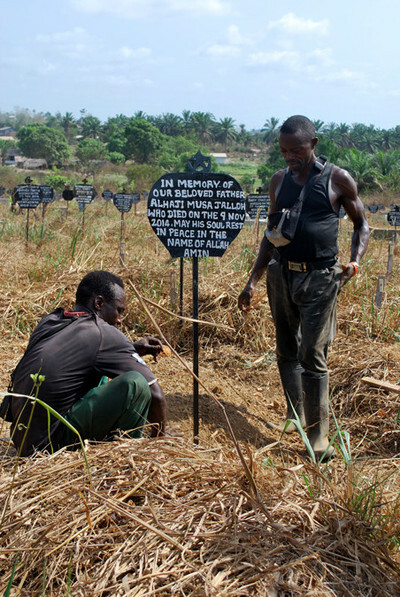 Ebola had crept into a remote corner of eastern Sierra Leone through its porous border with Guinea. Once there, it spread more swiftly than in neighboring countries and its impact was catastrophic; it would go on to infect over 14,000 Sierra Leoneans – the highest number in West Africa. Nearly 4,000 would die. More figures from the Centers for Disease Control can be found here. 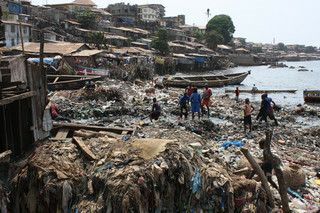 Sierra Leone is no stranger to deadly disease – one in ten children don’t live past the age of five. But Ebola was different. 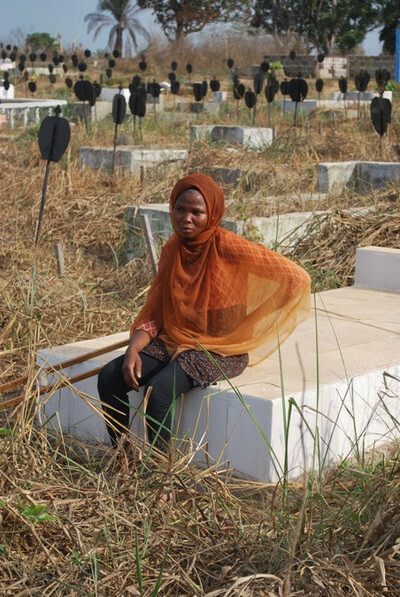 Ebola brought a terrifying 60% mortality rate and undignified, delirious deaths to its victims. This was a disease spread by love – through caring for the sick – and in the early days, it took out entire families. The draconian methods put in place to stop transmission – mothers forced to abandon sick children, the cessation of trade and farming, and hasty or even anonymous burials – exacted their own toll, leaving people further isolated, vulnerable, and in the grip of intense financial hardship. 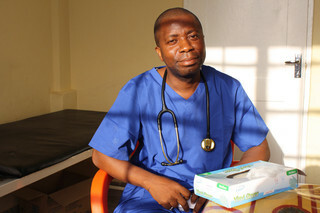 Like so much in Sierra Leone, the story of recuperation is bittersweet. 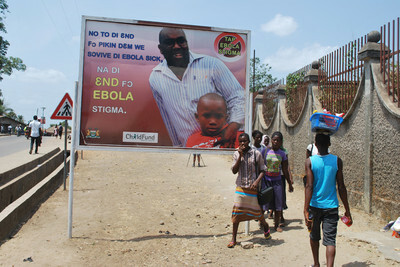 Of the country’s 6 million inhabitants, an estimated 150,000 are suffering from Ebola-related psychological problems. 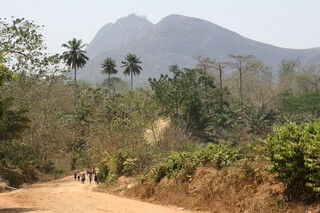 Read this piece by the World Bank on mental health services in Sierra Leone. But at the same time, the sheer volume of this group has led to a greater recognition of mental illness. This in turn has helped kick-start the fledgling, decentralized, mental healthcare system that Senesie now works for. And since April, the capital Freetown offers specialized services for children and adolescents. The support is admittedly bare-bones. The country’s sole psychiatrist has just retired and there is only one 97-bed psychiatric hospital in Freetown. The 20 nurses rely on a British NGO – the Kings Sierra Leone Partnership – Here’s more about the Kings Sierra Leone Partnership. and a Christian charity for clinical supervision. But while mental health services are in their infancy, they are growing in reach. “Large numbers of people are getting treatment who did not before,” explains Anna Walder from Kings. Sierra Leone is starting to chip away at the 95% mental health “treatment gap” identified by the World Health Organization in 2012. And, perhaps most importantly, Sierra Leoneans themselves are doing the chipping. Not foreign aid organizations, but the country’s own national healthcare system is making this happen. After years of neglect, Sierra Leone saw a seismic investment into its health system during the Ebola crisis. Since the end of a vicious civil war (1991-2002), aid money for reconstruction and health has flowed in, but it has not necessarily been spent in a way that increases in-country capacity. Aid money for reconstruction and health has flowed in, but it has not increased in-country capacity. Healthcare was provided by a mix of private, government, and NGO entities, and services were patchy at best. Read Health Poverty Action’s report on the health system. NGOs plugged the holes in government coverage. It was well-intentioned help, to be sure, but help that inadvertently undermined the self-sufficiency of the public health department. The government struggled to strengthen its own role even as donor priorities were flighty. Fear of corruption meant donors preferred international organizations over states. The International Crisis group on the politics behind Ebola. For a long time, money that did go to the state had been used as donors saw fit. Donors largely determined where it went. But faced with an epidemic, the government started asserting more control over how money was spent. The state now demands with newfound confidence that donors fund its priorities. The inflow of relatively unrestricted funds has enabled the work needed to strengthen the healthcare system in the long term. And hard-won experience has led to important strides in infection prevention – vital to quality medical care and a healthy staff. “It used to be hard to see a packet of gloves here,” remarks Dr. Mark Ali, the medical officer in charge of a freshly painted emergency ward at Connaught Public Hospital in Freetown. Connaught, the largest referral hospital in the country, can now administer piped oxygen to patients. That has cut the facility’s mortality rates by 20%. There’s a functioning triage system in place, and the first 24 hours of emergency care is free. Outside, Spanish doctor Marta Lado is standing at the entrance to another Ebola legacy – Sierra Leone’s first infectious disease isolation unit, which can now serve patients with TB, Lassa fever, and cholera. Lado was working as a clinical manager for the Kings NGO when Ebola hit, and refused point blank to leave. Early in the crisis, she cared for over 1,000 patients in an improvised isolation ward at Connaught with a British nurse and a handful of local staff. Back then, the days would start by collecting scores of dead bodies from the hospital gates. “The new isolation unit is run entirely by the nurses,” she adds. 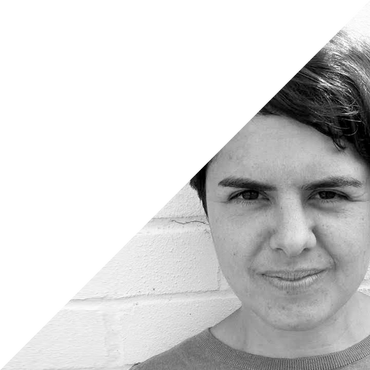 “People have this amazing new confidence: ‘I’m proud to be a healthcare worker! I want to improve the hospital!’ Connaught is like a different planet. And that came from Ebola. Don’t ask me how, but it did." Dr. Boie Jalloh is also optimistic. “It was a steep learning curve, but we are all experts now. Our clinicians are the most experienced in the world,” he says. The young medic has become something of a hero for running a local treatment center during the Ebola outbreak. He was awarded a presidential distinction for his work, and people are eager to pose for pictures with him when they spot him in Freetown. Jalloh wants to see local research capacity enhanced, so that the advancement of medical knowledge doesn’t rely only on foreign experts presenting papers on Ebola at conferences after treating just a handful of patients. “We have capacity issues, it’s true. But the solution is not to rush through with internationals – it’s not sustainable,” he says. The country is in a better position to face another outbreak, he says, pointing to the latest Ebola flare-up in January 2016, which was quickly brought under control. And during the outbreak, two Sierra Leonean scientists well-versed in the latest “next-generation genome sequencing techniques” analyzed samples at a new infectious diseases laboratory at Makeni University, an ongoing joint project with Cambridge University. Read more on the research here. “The scope and magnitude of this epidemic will not happen again,” emphasizes Stephen Ngoujah, who worked to coordinate the national Ebola response. A government post-Ebola recovery plan has built isolation wards alongside all community health clinics. People now know the disease and its terrible consequences, and health workers know how best to treat patients and protect themselves. This is not to say that Sierra Leone is home free. A cash-strapped government has yet to honor its promise to employ thousands of Ebola nurses who worked for free during the crisis, and runs a very real risk of losing all of their hard-won expertise. The government must get its own house in order – there’s the small matter of a missing $3 million from the state’s own Ebola response funds, which has yet to be resolved. And authorities will need to fight IMF restrictions if they are to increase public spending. For now, the deceased are still being tested for Ebola, and the systems for tracking epidemics remain in place. The fact that Ebola is known to linger on in the bodies of survivors, coupled with repeated flare-ups in nearby Liberia and Guinea, means the health department will need to stay on high alert. For the After Ebola project, Hazel Healy traveled to Sierra Leone with Paul Myles and Laurence Ivil. The trip was part of a larger collaboration between the monthly U.K. news magazine New Internationalist This is the New Internationalist’s website... and On Our Radar, ...and this is On Our Radar’s website. an organization promoting citizen journalism. After Ebola is made possible in part by support See the EJC project page for more on the After Ebola project. from European Journalism Center’s grant program for Innovation in Development Reporting. — Editorial assistance by International Editor Maaike Goslinga. Films edited by Davide Morandini.